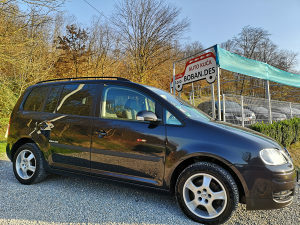 JEDAN IZUZETNO LIJEP I ATRAKTIVAN PRIMJERAK IZ VW PORODICE. TEHNIČKI I MEHANIČKI VOZILO JE U SAVRŠENOM STANJU, MAKSIMALNO JE OČUVANO VOZILO. NA VOZILU SU PLAĆENE SVE OBAVEZE DO REGISTRACIJE, ZA SVE OSTALE INFORMACIJE OBRATITE SE PUTEM TELEFONA. AUTO KUĆA BOBAN.DES SE BAVI UVOZOM AUTOMOBILA IZ NJEMAČKE I PRODAJOM ISTIH ŠTO ZNAČI DA ZAMJENE NE DOLAZE U OBZIR !